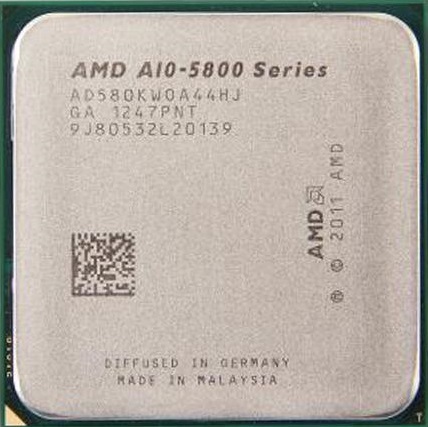 It is without a shadow of a doubt the processor that stands at the core of a high-quality gaming computer. No matter how many times you upgrade other parts of your PC, if the processor can’t put them to work, it will be all for nothing in the end. The two main pieces you want to think of when putting together a performant gaming PC are usually the CPU and motherboard. When it comes to choosing the best CPU for gaming, there are countless options available on the market from which you can choose. However, this article focuses primarily on the best AMD processor suggestions for an improved gaming experience. Hence, you will find here the top 4 choices of AMD CPUs that will deliver the best gaming experience on a budget. However, do not overlook the importance of investing in proper RAM memories to go along with your processor. Also, add into the mix a high-quality graphics card and you’re all set. If you’re looking for the best AMD processor for gaming, search no more. This CPU can take the concern of having to pay extra for a graphics card off your hands. If you’re wondering why, let me shed some light on this matter. This high-end CPU contains 4 individual physical cores dedicated to processing and 8 more for graphics. Also, the graphics clock speed ranks up to 757 MHz. Each core benefits from a standard speed of 3.6 GHz. However, the turbo boost features can up these speeds to as high as 4.0 GHz. Thanks to this, you can run any game that otherwise requires an extra Radeon R7 graphics card. Also, it is highly superior to any Intel HD graphics generation, including Iris pro or HD 530. With all these incredible specs, you would expect to pay a fortune for this CPU. If you think that, you are couldn’t be more wrong. For just $100, you are getting your hands on double the performance of the integrated graphics that the Intel i7 6700K provides. Also, you pay 3.5 times less. Hence, this first choice makes for the best option for gamers that do not wish to spend extra on a dedicated graphics card. Also, if you play the latest games on medium settings and 1080p resolution, you will get around 20-30 fps. If you lower the visual settings, the frame rates will consequently improve, as well. This particular CPU is the successor of the A10 7860K. However, it features improved clock speeds and turbo boost. As opposed to the aforementioned processor, this one comes off as much faster, with a standard clock speed of 4.1 GHz. The turbo boost feature can improve the overall processing speed to as high as 4.3 GHz. Even the graphics clock speed is higher than its predecessor at 866 MHz. if you want to make the best out of this awesome CPU, you can overclock it up to 4.5 GHz. However, make sure to use a custom cooler for this operation. For the best results possible, use 8Gb ddr3 2400 Mhz RAM memories. This boosts the overall performance by 25% rather than using RAM memories that run on lower frequencies, like 1600 MHz or less. Furthermore, this CPU make for one of the best AMD processor for gaming recommendations for one important factor. If you choose to make any kind of upgrade in the future, while staying on the budget, any entry level graphics card will perform at their best. Hence, you won’t have to worry about bottlenecks when using this particular CPU. When it comes to high-quality processors that feature integrated graphics, this is most certainly not the fastest. However, it is still able to make the list of the best AMD processor for gaming because of how well it performs in gameplay. Even though it has a base clock speed of only 3.8 GHz, it performs outstandingly with medium visuals. Also, you can boost the speed up to 4.2 GHz with Turbo Boost and a custom cooler. Furthermore, if you prefer older games from as far back as 2011, you can run them on medium to high visual settings with no problem whatsoever. As a result, this makes for one of the best AMD processor for gaming suggestions dedicated to gamers on a tight budget. Also, you can make the best out of it if you decide to equip it with any extra Radeon HD graphics card you choose. If you find yourself on a very tight budget consider buying the AMD A6 CPU. This is the cheapest processor that comes with integrated graphics. You can purchase it for only $40. However, don’t expect to play the latest games with your visual settings turned on high. This processor is best for enjoying some casual games that are not very demanding. For example, you can play games like Skyrim, Battlefield 3 or CS:GO on medium settings and 720p resolution. However, the frame rate will not go higher than 20fps. However, the APU processors available on the market nowadays can easily top some of Intel’s integrated graphics. So, if you want to pay less for more improvements, go with one of the APU processors. Also, you can add into the mix a low-cost graphics card, and you will be able to see major improvements in no time. 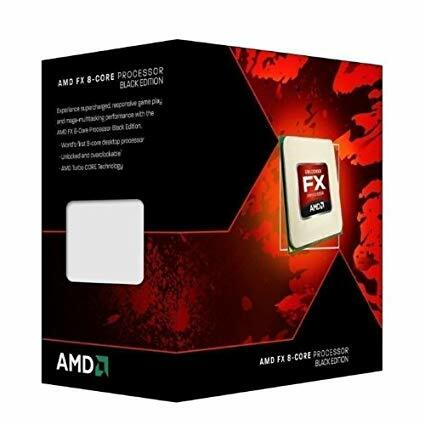 All things considered, if you want to go for an inexpensive gaming PC, this is the cheapest AMD processor you can find that also features integrated graphics and high clock speeds. 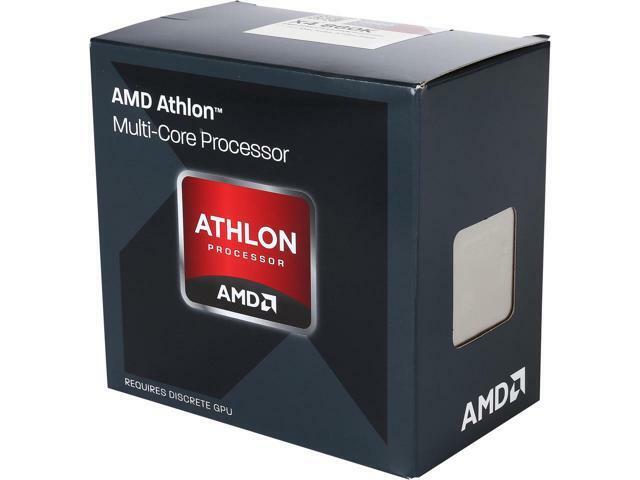 Another great alternative when it comes to the best AMD processor for gaming suggestions dedicated to gamers on a budget is the Athlon 860K. It features a total of four physical cores with a cache memory of 4 Mb. The standard clock speed is 3.7 GHz. However, if you perform an overclock, you can reach even higher values, such as 4.0 GHz with ease. When it comes to price, the AMD and the Pentium g3258 share the same numbers. However, the AMD is superior when it comes to the number of physical cores. The Pentium only features 2 cores. A great high-end 8-core processor for gaming is the FX 9370 Black Edition. Apart from the number of cores and cache memory it shares with its counterparts, this one has a base clock speed of 4.4 GHz. However, you can use the Turbo Core 3.0 technology in order to increase the speeds up to 4.7 GHz. These incredible clock speeds will most certainly give you the best gaming experiences you are looking for. 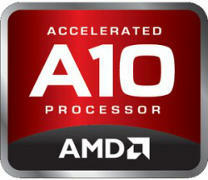 Furthermore, when compared to other AMD processors, this one in one of the fastest on the market. Hence, it will provide you with excellent visuals and improve frame rates in any demanding video game you can think of. If you are willing to spend more than $100 on a CPU, there are two several choices for you. However, when it comes to picking between the FX 8350 and FX 8320, go for the first option. This is because the AMD FX 8320 features lower clock speeds than its more powerful counterpart. Also, apart from the 8 cores, the FX 8350 comes with a total of 8 Mb of L2 and L3 cache memory. Furthermore, each individual core comes with a standard clock speed of 4.0 GHz. If you purchase a custom cooler, you can overclock the CPU and reach speeds of as high as 4.5 GHs per physical core. Even if this processor is more demanding when it comes to power, it still makes for one of the best AMD processor for gaming options available on the market. Also, this particular CPU is significantly cheaper than an Intel i5 4440. At the same time, you benefit from a larger number of cores than the i5 provides. If you’re looking to build yourself a proper gaming PC, but have some limitations when it comes to the budget, this choice is best suited for your needs. Apart from the amazing features and performances it comes with, this CPU features an amazingly affordable price, as well. However, when it comes to price-performance ratio, this beast delivers more power than most users can handle. All of that, for cheaper prices, when compared to the competition. This 8-core, 32-nanometer version can handle multitasking with no effort, thanks to its high-end architecture design. If an 8-core CPU sounds too much for you, there are other options to choose from. The FX-8320 also comes in four and six-core versions. However, go the extra mile and get the most powerful there is. This way, you won’t be raising the power requirements of your system, thanks to the processor’s increased energy efficiency. Another set of great features that come with this processor is the OverDrive and Catalyst Control Center software pack. These suites allow you to push the CPU speed well past the initially designed point. Hence, you will be able to notice right away great improvements when it comes to 3D gameplay. Also, the HyperTransport technology available for the AMD FX-8320 will make everything run smoother. The HTT improves the overall clock speed while maintaining a low latency. Hence, fewer bottlenecks occur making it possible for the CPU to utilize system memory in a more efficient way. If you’re on the lookout for a bargain, make sure not to overlook the FX 6300 processor. For roughly $100 dollars, you can get your hands on this powerful 6-core CPU. Hence, multitasking and heavy gaming can be performed with ease, thanks to this processor’s specifications. The standard base clock speed of a single core revolves around 3.5 GHz. Also, you can boost it up to as high as 4.1 GHz if you overclock using a custom cooler. Also, another great addition is the large 6 Mb cache memory. All things considered, as far as price-performance ratio goes, this AMD CPU tops the Intel Core i3 by far. Add into the mix a GTX 950 or GTX 960 graphics card, and this will deliver awesome results when put to the test. However, in order to make the best out of this particular CPU, make sure to overclock it. All in all, you won’t have to spend any more than $400 or $500 on a decent gaming computer if you go for this processor. Even though it features a total of 6 physical cores, this particular processor is one of the slowest out there. However, you should not be too quick as to dismiss it right from the start. However, when running demanding games such as Skyrim or Crysis 3 together with some other resource eating software, this CPU hardly sweat. The base clock speed is only 3.3 GHz. If you choose to overclock, it can go as high as 4.2 GHz. However, it is not all about the speed. Other great features that come with this high-quality processor are the Turbo Boost and Cool & Quiet. 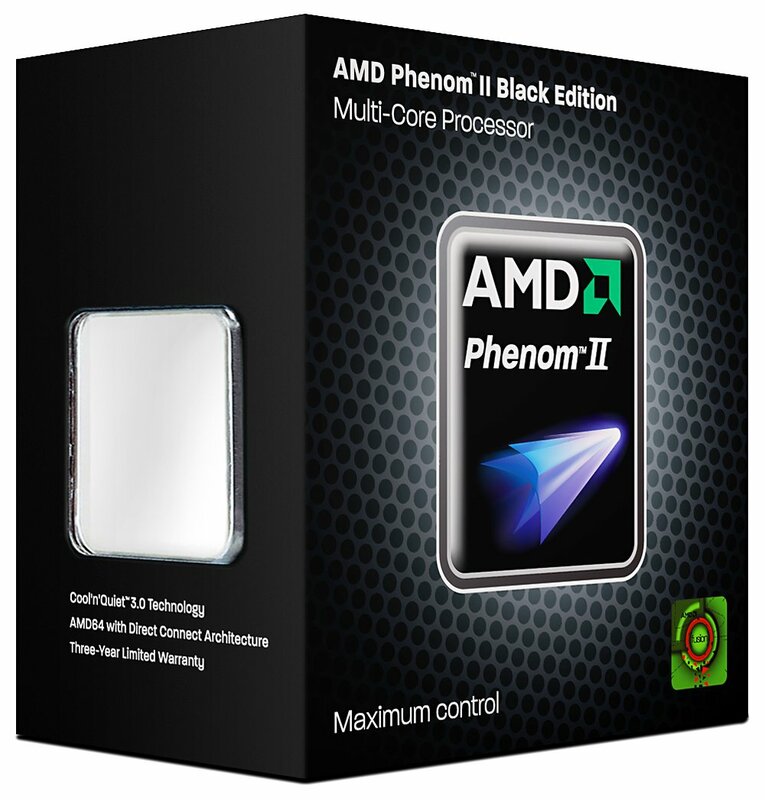 This makes the Phenom II X6 use no more than 30% of its total capacity while running multiple software and demanding games. Also, if you decide to go the extra mile and purchase an individual graphics card, this powerful CPU will provide you with the best gaming experience for years to come. Whether you’re looking to build a custom gaming PC or you’re tight on the budget but looking for some bargains, you can find everything you need here. 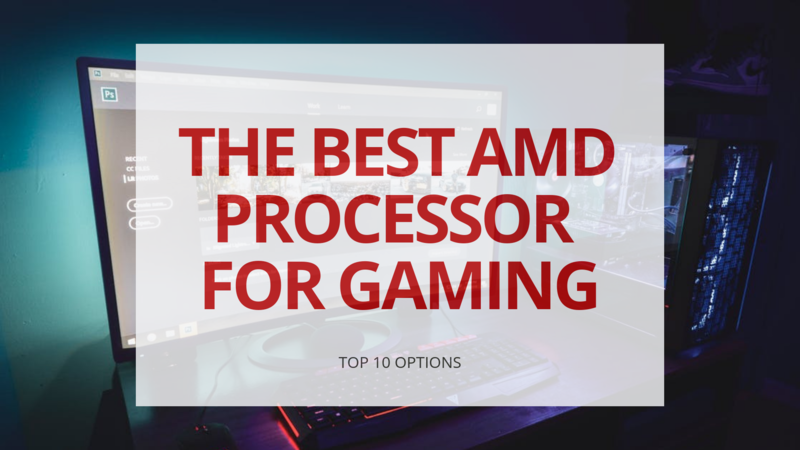 This list of 10 best AMD processor for gaming suggestions will definitely open your eyes to some appealing options. Choose whatever you think best suit your needs and start building the gaming computer of your dreams. However, since all these CPU recommendations feature an overclock option, you should pay extra attention when it comes to this. Generally, you wouldn’t need to overclock unless you heavily use your PC for gaming purposes on a daily basis. If you choose to boost the standard clock speeds through overclocking, make sure to buy a custom cooler to prevent the CPU from overheating. Intel i5 vs i7: Which Is Better for Gaming Performance?